Throwing cake in my face, asking me whether I want a large piece or a small one. 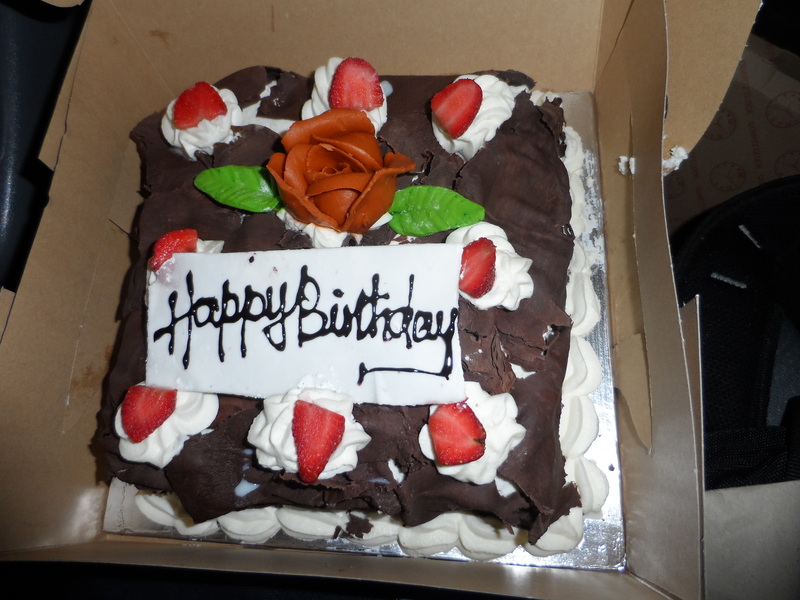 It was Shish’s birthday yesterday and Tweetie got her this amazing black forest cake. Then i went for C25K with Nas. Who proceeded to mention that she would like us to go buy crisps after our jog. She has never mentioned that before. I don’t even know the last time I saw Nas eating junk food. Till Tweetie mentioned, “Sigh, no 1k for us.” They just want me to pay them!